Fiona joined academia in 2014 after 25 years working in the voluntary sector as a senior manager and professional fundraiser. Fiona worked for domestic charities and international development organisations including UNICEF and MAG and latterly as a consultant with UNHCR. She has extensive experience of strategy development, budgeting, planning and branding and of leading and managing teams and individuals as well as experience of significant projects and in bringing together fundraising, communication and service delivery colleagues. 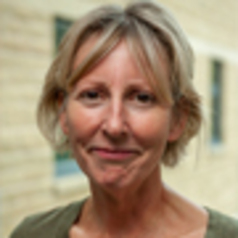 Fiona currently works for the Centre for Sustainable and Resilient Communities at the University of Huddersfield. The CSRC’s focus is on enhancing livelihoods, improving life choices and opportunities and supporting innovations that will improve the sustainability of communities, particularly poor ones, in the face of current challenges such as climate change, food security, and the increasing demand for energy. Masters in Risk, Disaster and Environmental Management, Huddersfield University Business School, 2010-2012 (Distinction); BSc (Hons) 2:1, Geography, St Andrews University.